Formerly known as: Falcon Works Main Block on NW side of Yard. Remains of pot bank, 1902-1905. Brick with plain tiled roofs. Surviving buildings comprise the kiln block and 2 workshop and warehouse ranges on opposite sides of a yard. Single storeyed kiln range of 9 bays with 2 downdraught glost ovens with circular hovels to the east of the site, and to the west, a 3-storeyed workshop range of 18 bays with doorways in the end bays, and fixed light windows with double ring cambered heads. 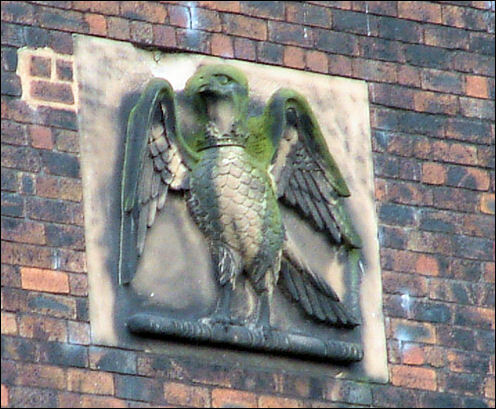 Stone plaque of falcon in gable apex. Further workshop block to south of 3 storeys and 12 bays with similar detailing, built at about the same time. 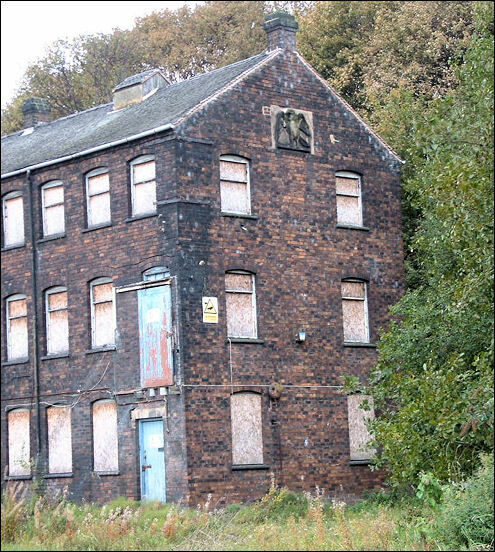 The works were built by Goss as an extension to London Road works established in 1858. 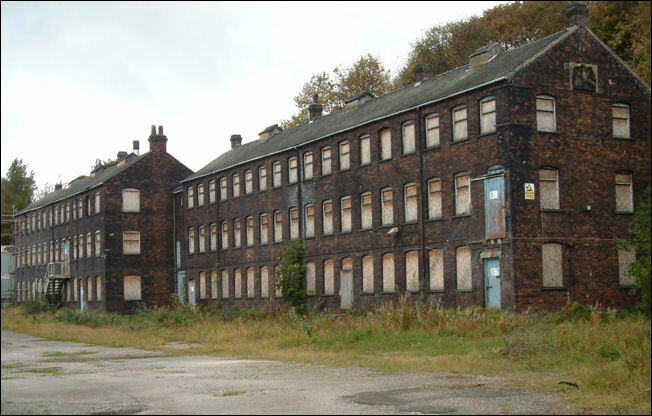 (Stoke-on-Trent Bottle Ovens Survey: Goss Works).